Luxurious pool home in the highly sought after neighborhood of Oviedo Forest! 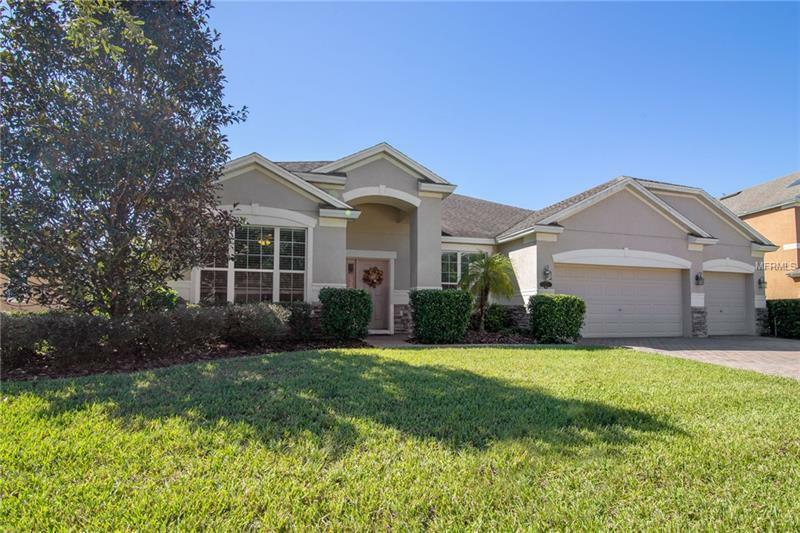 This beautiful Meritage home boasts wood-like and ceramic tile floors, a chef's kitchen including a walk-in butler pantry, and a sparkling pool with screened enclosure while overlooking the pond with no rear neighbors. Incredibly spacious with high ceilings to make it even more grand! The three way split floor plan allows for ultimate privacy and tranquility. So many features to brag about: Sentricon termite system, surround sound speaker inside and outside by the pool, three car garage, home security system, stainless steal appliances, double oven, custom walk-in closet in the master bedroom, granite countertops, and tons of storage! The neighborhood backs up to the Little Econolockhatchee Forest which is great for kayaking and has mountain bike trails. Come live your best life at 685 Comanche! BE SURE TO CLICK THE VIRTUAL TOUR LINK TO SEE A 3D SHOWCASE OF THIS PROPERTY! !